In 3 years the school had expanded to 550 students, and added 6 departments: automotive service management; electronics technology; business management; clinical technology; civil engineering technology; executive secretarial training. 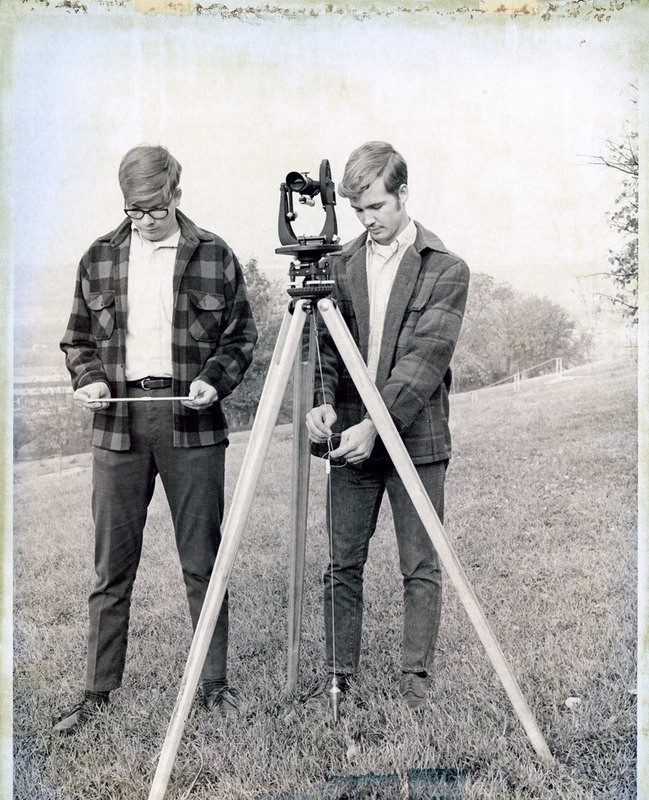 Undated photo shows two Civil Engineering students. 30,000 people were unemployed in the Cincinnati area in January 1971, and the jobless rate was 5.1%. 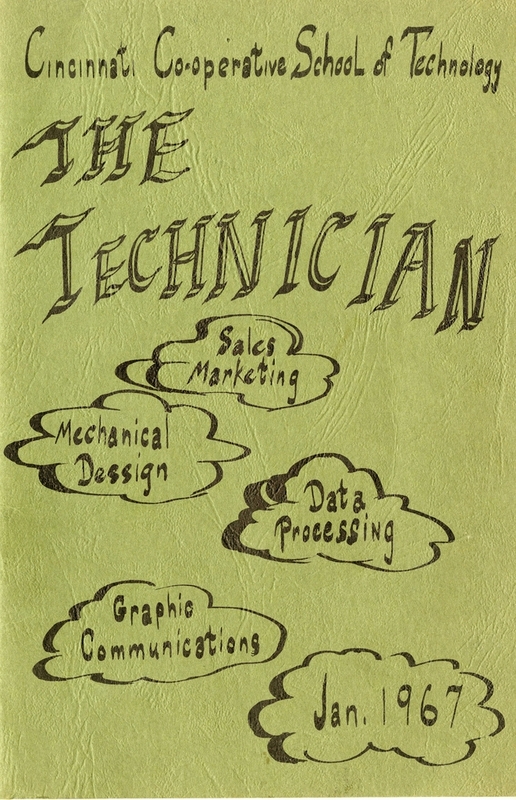 Yet about 90% of Cincinnati Technical Institute co-op students were employed by the end of their first co-op term that same year. 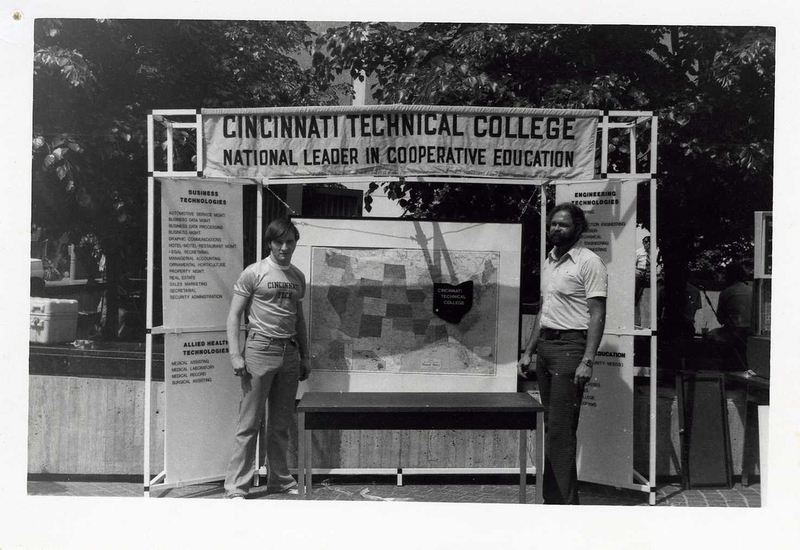 Undated photo shows CTC students promoting co-op on Fountain Square. 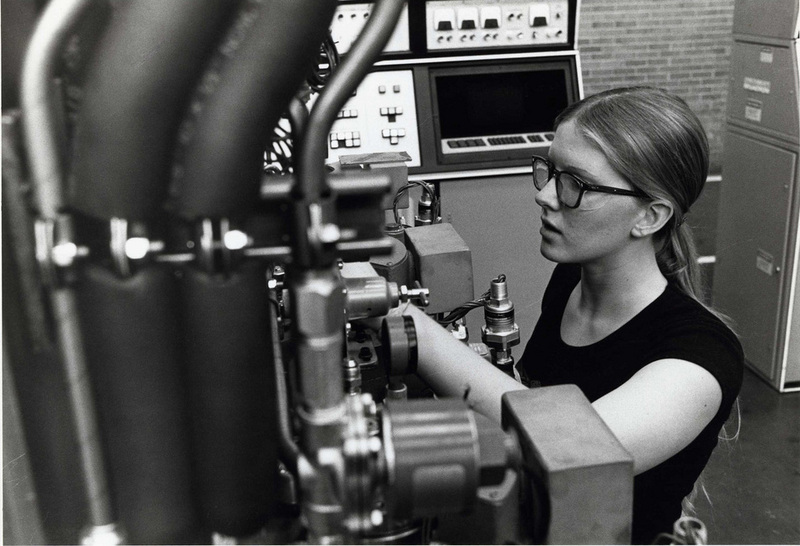 “The College That Works”: In 1977, 99 % of students participated in co-op, 84% worked on jobs directly related to the technology being studied and 60% remained with and were promoted by their co-op employers. Pictured: Irvin Kuehn - High School Liaison Officer at a recruiting event, undated. 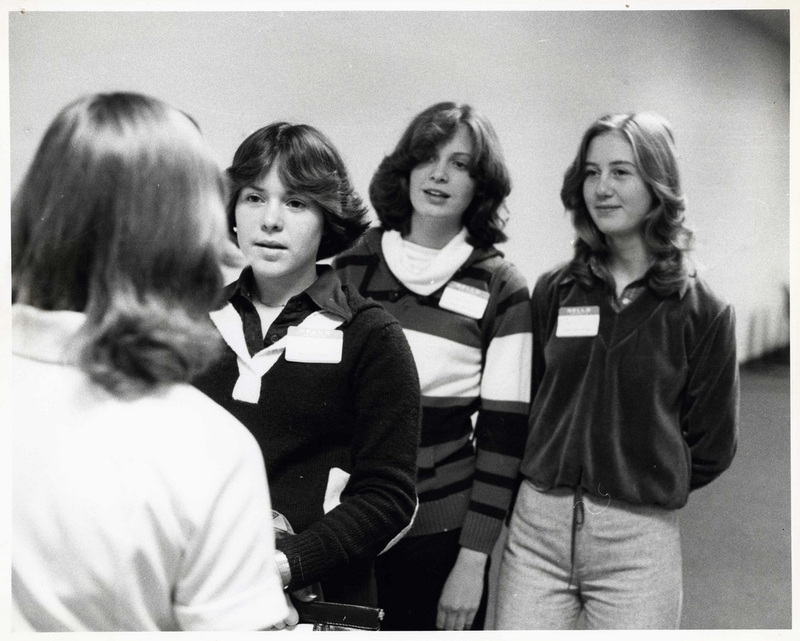 “Co-opportunity Month” was in its ninth year in 1978 when this photo of 3 students in the Medical Assisting program was taken. Every March high school juniors from Hamilton Co. and Northern KY were invited to the college to learn about technical careers. Economic conditions impacted co-op registrations into the 1980s with a steady drop in the number of area co-op jobs. 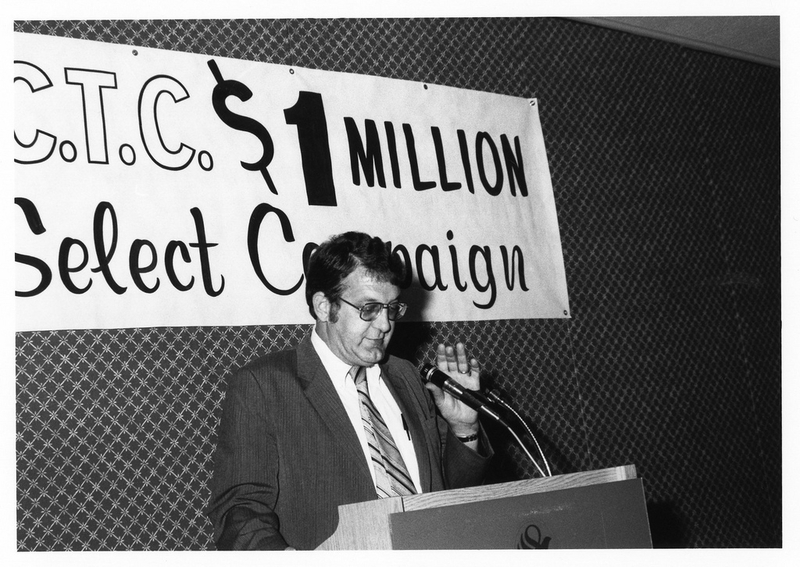 President Frederick Schlimm declared 1983-1984 “The Year of the Co-op” as a way to re-emphasize the importance of co-op to the mission of the college. 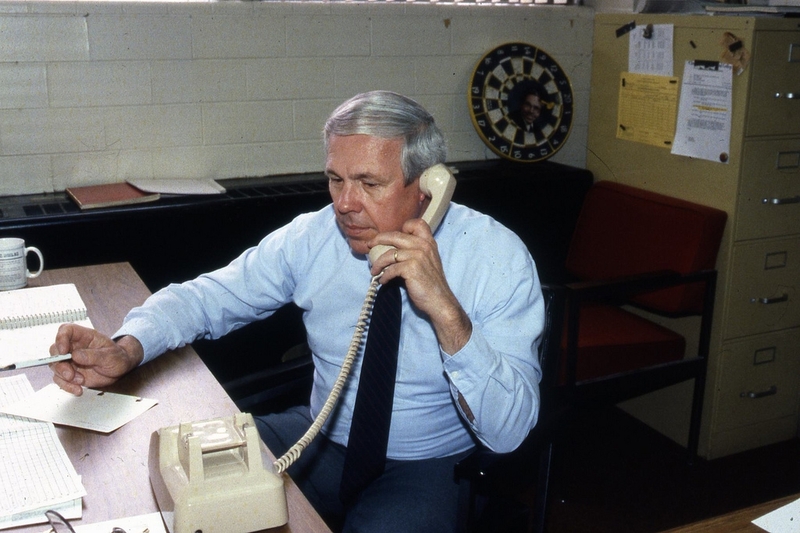 Pictured: President Schlimm in 1982. 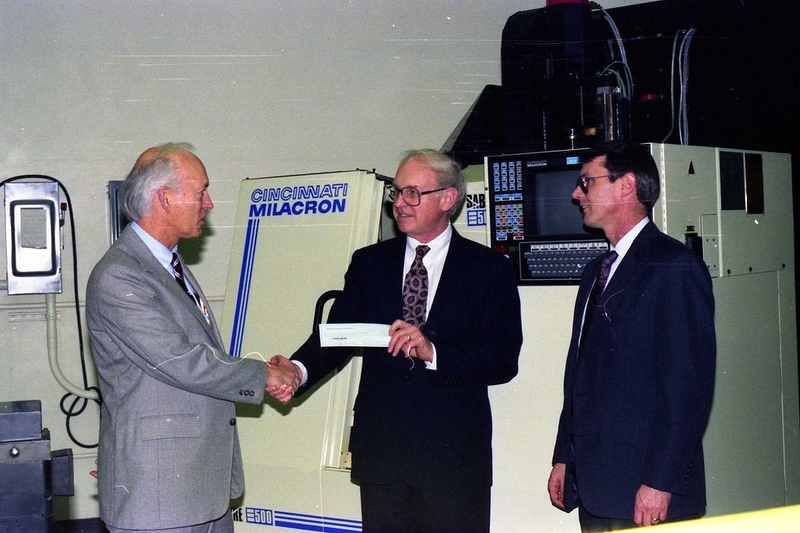 In 1988, CTC had the highest employment rate for graduates among all the state’s autonomous technical colleges. Also, students earned close to $5.5 million in co-op salaries that year. 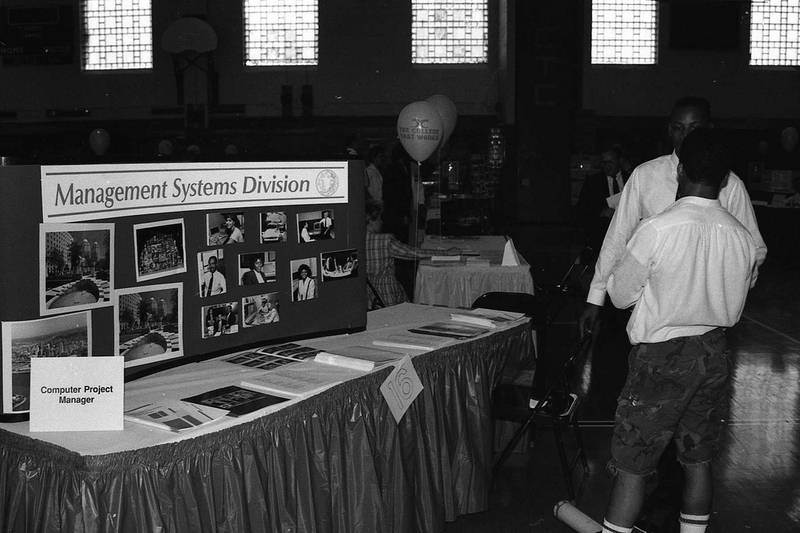 Pictured: Cincinnati State representative at a career fair in 1988. 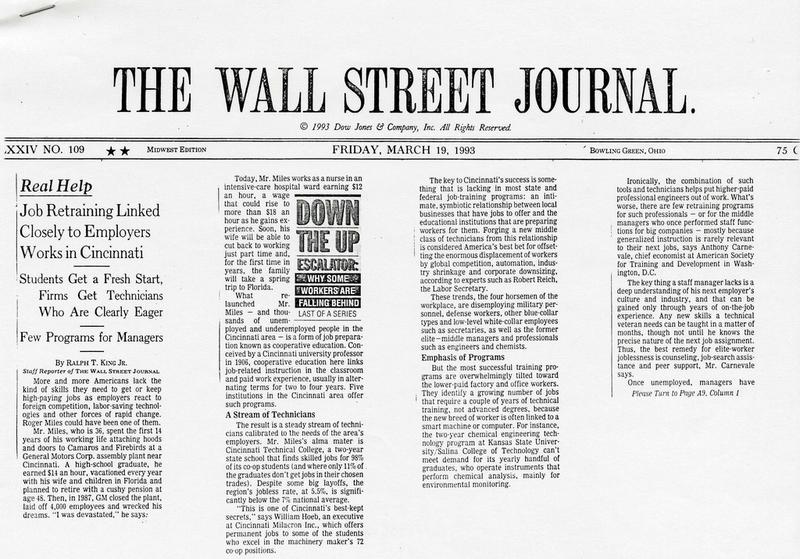 The college made national headlines appearing on the front page of The Wall Street Journal March 19, 1993. 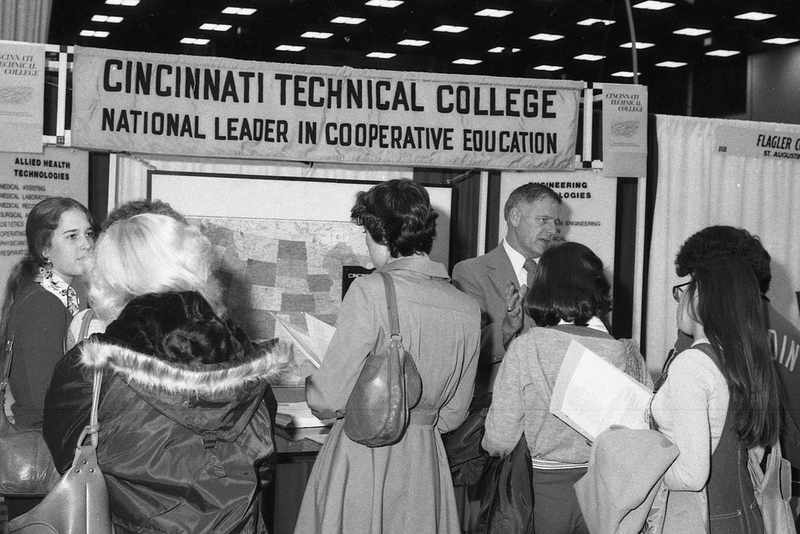 The article discussed the success of the co-op education plan in Cincinnati, where Cincinnati Technical College had a placement rate of 98% for co-op grads. 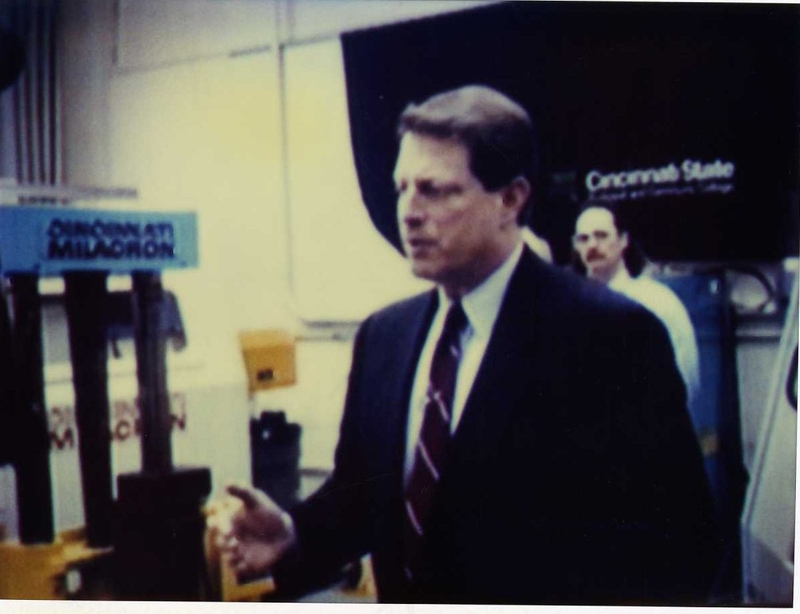 On February 26, 1996, Cincinnati State received a visit from Vice President Al Gore, who remarked that the cooperative education program could be a model for the rest of the country. 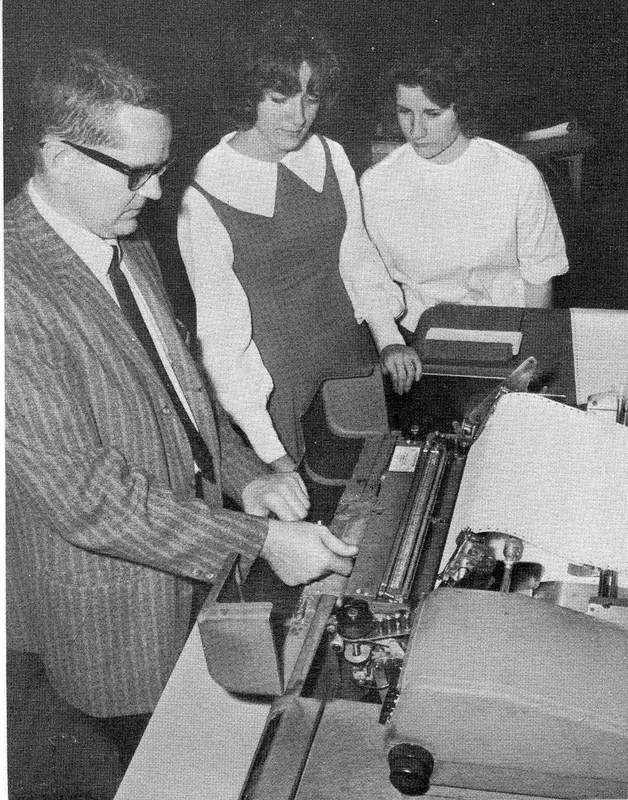 School officials arranged for Vice President Gore to work on a CAD/CAM computer. Over 800 employers in the region value Cincinnati State’s commitment to cooperative education today, and every year, Cincinnati State honors their most outstanding co-ops. 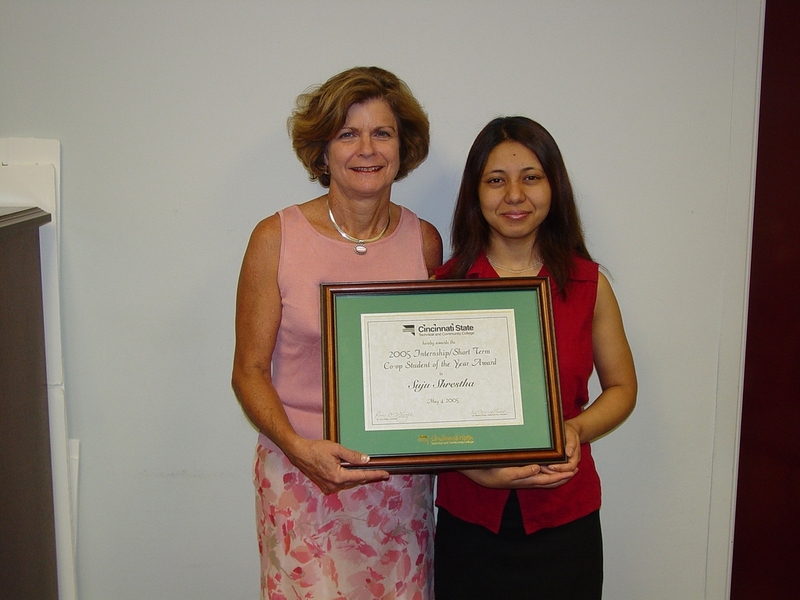 Pictured: Co-op student Suju Shrestha receiving a co-op student of the year award in 2005. In 2009, Peggy Harrier, Dean of the Business Technologies Division at Cincinnati State, was named “Educator of the Year” (formally the Dean Herman Schneider Award) by the Cooperative Education and Internship Association. 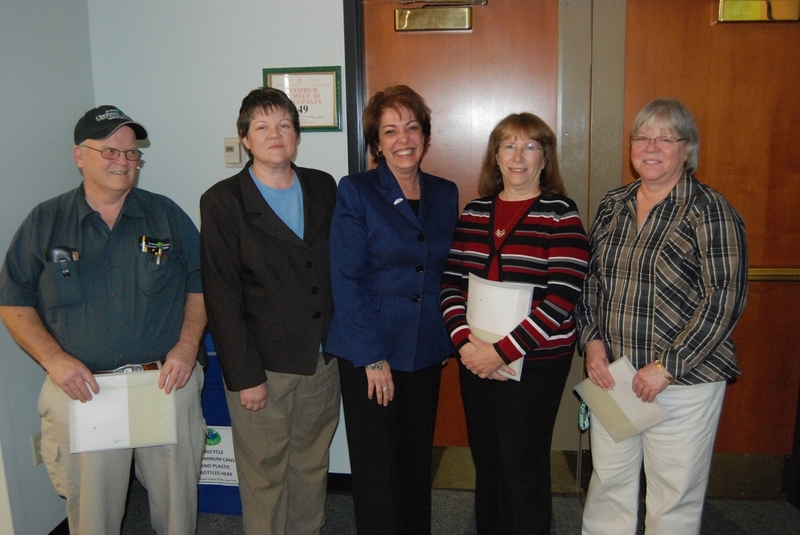 Pictured: Peggy Harrier with members of the 25 year class. Cincinnati State had almost 3,000 co-op placements in 2007, with more than $7 million in earnings by Cincinnati State co-op students. However, just to arrange the first co-op job, the college had to make 50 phone calls! Pictured: Jerry Froehlich, co-op coordinator for CET, undated.